The Ho Chi Minh Museum is a huge cultural work built around the aspirations of the Vietnamese to commemorate the once-leader and national hero of Vietnam, none other than President Ho Chi Minh. The Ho Chi Minh Museum is as diverse as the many names associated to it. The museum found in Ho Chi Minh City is also known as Uncle Ho’s Museum, the Dragon House, Khu Luu Niem Bac Ho and the Nga Rong Harbor. Aside from amazing displays found inside the museum, its exterior and architectural design uniquely represents a mix of traditional Vietnamese and French architectural style. The beautiful exterior alone is undoubtedly reason enough to visit the museum. Built in 1863, the building originally served as the French Customs House in Saigon City. All visitors and travelers that entered the city had to go through this building when they docked at the port of Saigon. Ho Chi Minh himself even lived inside this same building as he stayed here before heading to his 30-year exile across America and Europe. 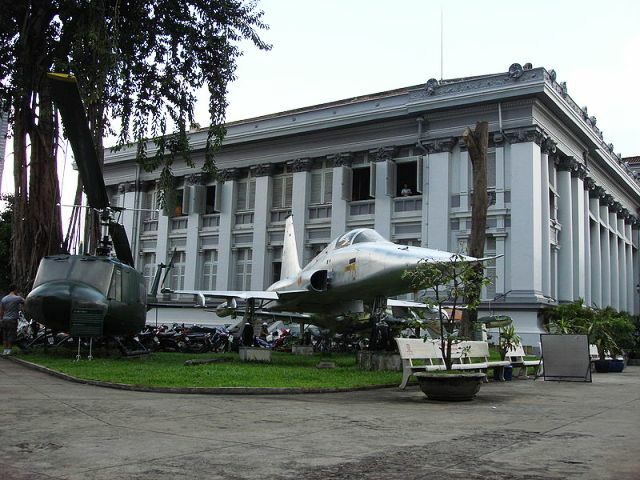 But it was only in May of 1990 when the project to house a museum for the country’s most beloved hero was inaugurated. It was also the year that celebrated Ho Chi Minh’s 100th birthday. The museum has a great collection of Ho Chi Minh’s personal belongings as many of his journals have been preserved by the museum. Besides small and delicate items such as his pencils, rubber sandals and watering can, the museum also holds many fragments of his life that vividly describe his journey to becoming Vietnam’s most famous leader and hero. Aside from bits and piece of the life of the hero, the museum also houses many artifacts of the revolution such as weapons, uniforms, medals and old photos during the struggle of the Communists against the French and the Americans. Since the opening of the museum, it has welcomed millions of visitors who are curious and want to be educated about the life of the popular leader of Vietnam. A man that devoted his life and career to national, social and human liberation is indeed a man full of integrity. His thoughts, ethics, style and life-loving kindness are what draw in millions of people to the museum. Many of the items are labeled in Vietnamese so foreign visitors should be prepared to look and appreciate without any explanations. A guided tour is then much-advised. The museum is found on the junction of the Saigon River and located near the tip of Nguyen Tat Thanh Street. The museum is open every day except Fridays from 9 in the morning to 6 in the evening. Another Ho Chi Minh Museum can be found in Hanoi, Vietnam that caters to the Northern Vietnam region visitors and residents. Both museums possess equally remarkable pieces and items associated with Ho Chi Minh. President Ho Chi Minh was a leader who strived to build a nation of peace, unity, independence and democracy. Indeed, his legacy continues to live on to be passed down to generations to come at the Ho Chi Minh Museum.